Director Christopher Douglas-Olen Ray (2015’s 3-Headed Shark Attack and Mega Shark Vs. Kolossus) has teamed up with the screenwriters of Bethany (2017), James Cullen Bressack and Zack Ward, for another journey into terror: Circus Kane (2017). Based upon a story by Sean Sellars and starring Jonathan Lipnicki as Scott and featuring Bill Voorhees in a role entitled Evil Clown, the tale follows an isolated master of the ring top. This is as he offers $250,000 a piece to a gathering of social media celebrities. The catch is that these stars must stay in the eerie, foreboding house of haunts owned by their moderator. This is without allowing accruing fear to make them depart. Yet, there is a secret these stars will soon learn. It is that those who agree to the propositions of the host are playing a ghoulish game. Such is one that may force the competitors to pay with their lives. The distributor of the picture, Uncork’d Entertainment, has recently unleashed the gleefully gory teaser trailer to this Gerald Webb co-produced project. It can be found above. Clocking in at forty-one seconds, the piece promises a feature which will be inventive, stylish, tense and terrifying. There even appears to be an influence from James Wan’s modern classic Saw (2004) to the proceedings. The photoplay, which Bressack called “one wild and fun film” in a Twitter post from February 18th, 2017, will have its premiere at The Cannes Film Festival in May. All that is known at this time concerning a theatrical run or on demand release is that it will be later in the year. More information will be provided as it becomes available. Either way, Circus Kane is primed to delight fellow genre fanatics. Bethany (2017), a full-length feature from the prolific twenty-four-year old writer-director James Cullen Bressack, is a surreal nightmare; an unnervingly successful contortionist’s act that ranges between past and present traumas. At a brisk ninety-minutes in length, Bressack luminously crosses these stages in time. Such accrues with a seamless mixture of classic gothic horror and modern shock. What is just as striking is how stalwartly Bressack’s latest endeavor aligns itself to the supernatural subtleties of author Shirley Jackson’s The Haunting of Hill House (1959). Such transpires in its earlier stretches. There are even bits which splendidly capture what can be deemed a modern sense of Jackson’s storytelling refinement. Once the presentation nears the second act, the photoplay becomes a nail-biting chain of ghastly, genre-related set-pieces. Each one is more creative and aggressive than the one prior. Such commences with a distressing, aptly composed sequence at twenty-two minutes in. This segment oversees our troubled heroine, Claire (in a wrenching and ever-believable embodiment by Stefanie Estes) grimacing. This is as she unveils an unexpected crunch in her cereal. As she looks down, she sees roaches climbing out of the bowl. These events only spiral more wildly out of control. Such erupts as Claire’s grip on reality becomes more questionable. Until the comparatively tepid final fifteen minutes, Bressack brings forth a vivid extravaganza of these ethereal proceedings. The majority are made increasingly more delightful. This is in the method in which they constantly called to mind the fictions of Clive Barker. There are also many incidents which made me reflect upon the imaginative celluloid of Wes Craven. Primarily, Nightmare on Elm Street (1984) and New Nightmare (1994). Tobe Hooper’s masterpiece, Poltergeist (1982), was also a frequent echo found within the effort. Moreover, there is a memorable and jarring episode near the half hour mark. It involves Claire pulling on her cheeks. Such made me think a section in Brian Gibson’s Poltergeist II: The Other Side (1986). This is where the braces of Robbie Freeling (Oliver Robins) took on a life of their own. This only augmented the sheer joy the cinephile in me uncovered in the project. Bressack is clearly inspired. Still, every shot and every scare emerges in a manner that makes it increasingly easier to gaze through Claire’s eyes. When the deftly executed plot begins to unfold, Claire finds herself moving back to her youthful abode. 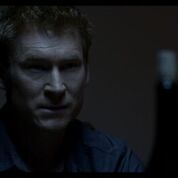 This is with her husband, Aaron (co-scripter Zack Ward in a layered and commanding depiction), in tow. Almost immediately, Claire hears the title personality, an entity that was once thought to be “an invisible friend”, calling her. Making matters worse are the visions of her mother, Susan (in a masterful depiction from Shannen Doherty), which gradually plague the woman. Haunted by flashbacks, which also operate as a gripping form of delivering exposition, the circumstances around Claire become ever more violent and bizarre. 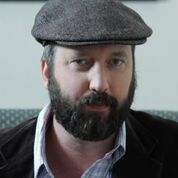 With Aaron and Claire’s psychologist, Dr. Brown (in a riveting enactment from comedian Tom Green), desperately seeking to disclose what is ailing Claire, she simultaneously questions her sanity and reality. This is as once buried affairs make their way back into her existence. Despite this firm, but familiar, foundation, the characters and their motivations are stock. On a similar note, most of the dialogue which dominate Bressack and Ward’s otherwise astounding screenplay are archetypical. Yet, the narrative moves at such a breakneck pace that such demerits seem petty in comparison. Best of all, Bressack and Ward never once lose their fixation on the richly developed personas. The same can be said for the psychologically torturous atmosphere of terror the offering evokes. Such is induced in its opening: A quietly chilling two-minute long arrangement. This portion involves Young Claire (in a turn by Anna Harr that is dazzling), a stuffed bear and an unseen presence by the name of Bethany(which Harr portrays just as unflinchingly as the previously addressed portrayal). After this attention-garnering jolt, Bressack’s endeavor only gains a riveting, imagery-laden momentum. This is as it pushes forward. In so doing, Bressack and Ward offer an all-inclusive catalogue of tropes and uniquely apprehensive notions. Such is increasingly entertaining. This is without ever feeling excessive. A variety of the twists, such as one unveiled circa the halfway point, fall into the category of the tried and true. Still, it does little to damage the evocative, technically impressive nature of this Uncork’d Entertainment distribution. Bressack’s bravura guidance of the tale, as well as the concluding credits, carry this feeling to the last frame of the picture. Continuing to help matters is the claustrophobic and skin-crawlingly resonant music, a medley of pianos and violins, from Alex Csillag. Likewise, John DeFazio orchestrates cinematography that is brooding gorgeous, suitable and consistently terrific. The editing from Bobby K. Richardson is sharp and seamless. Tiffany K. Wong’s production design, Ryan Henneman’s art direction and Alycia Belle’s costume creation is similarly exceptional. Furthermore, the make-up, sound and camera and electrical squad are captivating. Another marvel is the certainly eye-popping and credible work of the visual and special effects crew. Correspondingly, Leon Russom as Doctor Merman, Kevin Porter as Nurse Foster and Keith Jardine as Harrison reiterate the overall strength of the chronicle. This is with their high-quality performances. Felissa Rose as Janice the Realtor, Kristy Hill as Maternity Nurse and John Murray as Mr. Hodges are also phenomenal. Tiana Whitley as Young Susan, Ellen Gerstell as Marcy and Timmy Pistol as Carl only expand the transcendent edge of the cast. The result of these herculean components is a configuration that redefines the term “white-knuckle”. Bressack’s item is both sophisticated and grueling. This ultimately exhibits the deft balance of the antiquated and the contemporary approaches to trepidation conjured in this undertaking. But, what is most remarkable is that Bressack, who also plays a hospital visitor, makes us care for Claire. This is also true of those close to her. Such is of the utmost necessity. This is for bystanders to be as absorbed and enthralled as possible as Claire undergoes hell itself. Consequently, the flick rises as resoundingly as a drama as it does a venture into the brooding heart of apprehension. Because of this, Bressack has crafted an exuberant display of talent; a surefire winner. Fellow aficionados of fright will want to check this highly-recommended tour de force out for themselves. You can do so when Bethany, a Brilliant Screen Studios and Grit Film Works fabrication, arrives in theaters April 7th, 2017. Two of the most celebrated ingredients in cinematic horror are flesh and blood. Peelers (2016), a wildly entertaining ninety-five-minute feature from director Seve Schelenz and writer Lisa DeVita (who also did the casting), submits this in gleeful excess. Such is most notable in the all-embracing structure. Schelenz and DeVita set the affair up in a semi-traditional manner. This transpires within the initial forty-minutes. These flashes operate as a collage of sumptuously staged and captivatingly shot strip show sequences. This is mixed in with an equal dose of slyly delivered character and story development. Utilizing nearly the initial half of the film to revel in the formerly stated attribute could’ve easily become monotonous. It could’ve also slowed down the fluent, meticulous pace of the effort immeasurably. But, there is a range of certainly unique themes that accompanies these segments. Never once are any of these notions repeated. Such a decision helps save the undertaking from such a fate. These sections fuse with the aforesaid exposition seamlessly. The consequence of such an action paints a more thorough portrait of the occupational lives of our leads. For many related entries in the field, this would be enough to sell the flick. Yet, Schelenz’s project has a consistently successful wit. There is also an abundance of creative ideas coursing throughout the exertion. Not to mention, the progressive build-up of terror events unveiled in this section are just as effectively and organically administered as those stated above. For example, there is a memorable third act happenstance which incorporates these components. 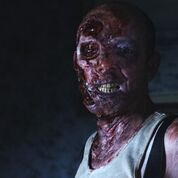 It involves our central figure, Blue Jean Douglas (in a charismatic and ever-watchable performance from Wren Walker), taking out an infected antagonist with a baseball. The brilliance of this bit, besides being a nod to her former profession, is that it is modeled after the conventional slow-motion sports-associated pitch commonly elucidated in movies. Much of the last fifty-five-minutes function just as well in this fashion. This is as the proceedings are crafted into an all-out parade of gore, grandiose fright and brilliantly honed humor. This is even if the configuration proves somewhat more engaging early on. Such is because of the method in with relationships bud and circumstances unveil in predictable fashion in the latter portion. Yet, the work never fails to be anything less than raunchy, low-budget fun. Best of all, it rarely resorts to artificial jump scares to punctuate its various episodes of intensity. The narrative commences with an ominous and certainly attention-garnering scene. It transpires in a hospital. Over the course of its two-and-a-half minutes, the macabre allure of this piece establishes a jolting, though quietly eerie and foreboding, tone. Such becomes an early highlight of the venture. This is as it suggests the variety of great things to come. Simultaneously, it immediately begins to form questions in our mind as to what exactly we are seeing and why. It is a masterful foundation. Schelenz follows this up with a visually stunning arrangement that mechanizes just as triumphantly. There is a smooth marriage of music and sensual imagery augmented in this composition. Such particulars make the configuration play like a bravura inaugural extract of cast and crew recognition from an X-rated installment in the James Bond franchise. Moreover, LaLaa Love’s body language expressive presentation as the dancer viewed in this unit compliments the sheer artistry at hand. Such creates the ingenious rhythm of alternating fear and sensuality upon which the design stands. As the tale unfolds, we find manager Blue Jean quietly pining. It is her last day as owner of The Happy Hour. Such is the erotically charged club where the narrative solely takes place. A nefarious businessman known as Chromagnum (in an exhibition from Al Dales that spectacularly personifies the efficiently sinister rich man archetype), has bought her out. He intends on using the building to his own whims officially at the stroke of midnight. When a group of miners arrive at the area, it is soon noted that these individuals seem to be covered in a strange ooze. Striking up conversation with one of the laborers, it is discovered that this group believes to have struck oil. They also state that they are planning to go back tomorrow. This is to see if they can uncover more of the presumed liquid. Such explains their festival-like spirit. It is also cause for their reasoning for stopping at Blue Jean’s venue. Yet, this scheme is abruptly halted. This is as the substance morphs these toilers, and everyone else in the building, into infected, zombie-like monsters who hurl black and green fluids. Such erupts moments prior to transformation. Such is a simple, but surely intriguing, impetus for a chronicle such as the one Schelenz conveys. It is a fiction that garners supplementary points by drawing a definitive parallel to John Gulager’s stupendous Feast (2005). This is in its general setting and zany, go-for-the-jugular demeanor. Furthermore, our protagonists are all likable and diverse in personality. Best of all, they are undeniably outstandingly etched. The antagonists are also exceptional. This is especially true when considering them as a masterful illustration of the collaborative contribution of the thirty-eight people who make up the effects team. Though the look of the undead is a bit conventional, a mixture of the dark eyes uncovered so habitually in modern cinema and the writhing ick of a similar opus from the 1980’s, they are still an enjoyable departure. This is from the stiff and unimaginative veneer of so many mutants perceived in today’s full-length provisions. Correspondingly, the method devised to slaughter these entities is both convenient and clever. But, what shines the most is the endlessly confident and stylish direction from Schelenz. DeVita’s screenplay continues to assist and augment the quality of the attempt. This is primarily with credible, yet often hilarious dialogue. There is also a smart balance of the serious and the comic, the bold and the interesting inherent in the penned material. Such makes the predictably wicked intentions Chromagnum has with Blu Jean’s edifice, which are exposed in the final twenty-minutes, quickly forgivable. The doggedly skillful on-screen portrayals only boost these sensibilities. Kirsty Peters as Licorice/ Carla, Nikki Wallin as Baby/ Elaine and Victoria Gomez as Tina are excellent in their principal roles. Caz Odin Darko as Remy, Madison J. Loos as Logan, Cameron Dent as Tony and Momona Komagota are also fantastic. Rafael Mateo as Pablo, David Torres as Mario, Edwin Perez as Jesus and Andrea Rosolia as Panuche are just as phenomenal in their respective enactments. The same can be said for Manny Jacinto as Travis, Emma Docker as Aja, Rob Scattergood as Officer Karl Robinson and Katherine Blaylock as Officer Simone Lacey. Lauren Martin as Nurse and Megan Duquette as Nasty Nanda are also impressive in their brief turns. The secondary cast of bar patrons, cooks (Jason Mullen, Chadderton W. Thornton and Mike Hurley in slight, but transcendent, parts), a deejay (voiced by Tim Chisholm) and a waitress (in a magnificent demonstration from Tatyanna Prior) enrich this already layered endeavor. Additionally, Schelenz is scene-stealing in his representation of Officer Carter. Schelenz also provides sharp and remarkable editing. The cinematography from Lindsay George is gorgeous and ever-immersive. Nikki Blais’ costume as well as Todd Giroux and Schelenz’s production design is authentic and inventive. The seven-person make-up squad offers terrific input. Vincent Mai’s music, though evidently modeled after the conventional mechanisms of the genre score, is moody and unnerving. The art, electrical and camera, animation and sound department all afford an influence that is startlingly good. Recorded in Vancouver, British Columbia, Canada, this Uncork’d Entertainment distribution and Pound (LBS) Pictures co-fabrication, is interminably delightful, amusing and relentless. It is everything audiences seek when searching for escape via celluloid. There are instances of intentional camp. But, it is not so much that it weighs down the wallop Schelenz packs when he yearns to subject bystanders to genuine shocks. This poise makes the sum increasingly well-rounded and easy to admire. The open to interpretation shot which arises before the concluding acknowledgments only adds to this category. Such is only a warm-up round for the astonishing mid-credits passage that is glimpsed later. When these become mutual with the last second jolt which finishes the photoplay, we smirk all the wider. This is as Schelenz appears to culminate the climax of his brainchild with another wholly new one. Such a radically over the top decision suits the overall attitude of the depiction beautifully. The title, an analogy that applies to the heroines as well as the overtaken, is just as perfect. When integrated, the outcome is an assuredly crowd-pleasing tour de force; a blood-soaked and ceaselessly engrossing reminder of why I originally fell in love with the genus of tongue-in-cheek revulsion. For those with similar affinities, this will prove to be one of the best movies of the year. I highly recommend seeking this out. You can do so when Peelers arrives on Video on Demand March 28th, 2017. Ghosts of Darkness (2017), the third full-length feature from writer-director David Ryan Keith, assembles many familiar ingredients into a remarkably enjoyable package. For example, the splendidly and authentically developed characterizations. They oversee the oft-utilized incorporation of a skeptic of the supernatural. 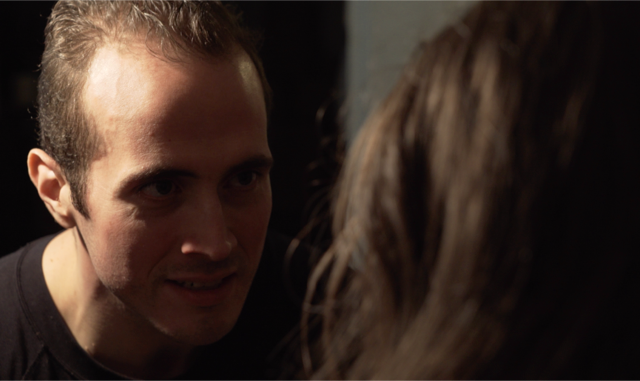 We find him in the slightly cynical Jack Donovan (in a terrific performance from Michael Koltes). 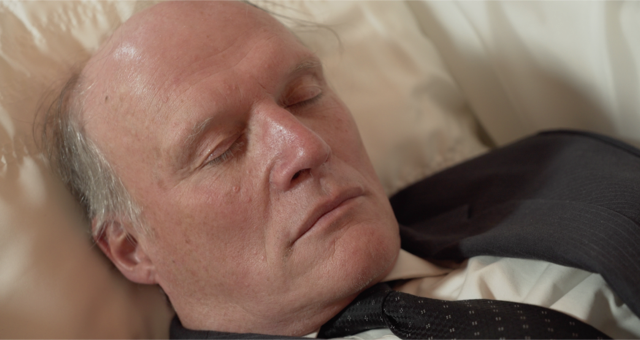 He is being paired with a psychic and fervent believer in such phenomena, Jonathan Blazer (in a deliberately old-fashioned, entertaining depiction from Paul Flannery which draws an unmistakable resemblance to the many roles of Hollywood actor Johnny Depp). Even the plot follows this tried and true suit. It details Donovan and Blazer being paid $50,000 each. Such is a reward to be issued once they have successfully spent three nights in a home with a history of violence. More particularly, an abode plagued by a one-hundred-year old puzzle. Such an enigma has frequently fired off reported incidents of the paranormal. Donovan and Blazer are being asked to do this in an admitted “publicity stunt”. It is being implemented to make the locals believe there is nothing to these ghoulish rumors. In turn, the hope is to dispel the spectral stigma which hangs over the residence. Soon one of the two unveils his own intentions with his time in the estate. The impression caused by such a revelation is also much in this time-tested vain. Moreover, the piece, which never overstays its welcome at a brisk eighty-two minutes in length, is structured and paced via Keith’s otherwise solid screenplay in a manner we have come to expect. This is with the gradual development of its on-screen personas and their motivations. Such is combined with a slow build-up of unsettling events in the first half. These unnatural circumstances grow at a rapid clip through the midway point. This predictably accrues until the rousing, twenty-minute long climax. All the while the emotional and professional stakes rise for our heroes. This is particularly accurate for Donovan. Such arises as he becomes plagued by nightmarish visions of his wife, Rebecca (in a representation by Lisa Livingstone that is powerful and immediately commanding), slitting her wrists. Such results in several well-staged sequences of fright. All of which revolve around these circumstances. These episodes commence at thirty-one minutes into the arrangement. This is as the ethereal menace surrounding the two reaches a zenith. Despite the over acquaintance of these items, as well as the myriad yarns of cinematic ghost hunters that have been hitting screens with increasing intensity over the years, this still endures as a purely fun ghost story. It is also confident, beautifully fashioned and disarmingly side-splitting at times. Many of these witty flashes of laughter arrive early on through the credibly penned dialogue Keith has given Blazer. Yet, every issuance of these elements never feels forced. Instead these items convey the traits of Flannery’s embodiment of Blazer spectacularly. In turn, such enriches both the individual and the scene such a winning factor is presented within. Further helping matters is the integration of other conversant manifestations. Evidence of this rests in a quick sight glimpsed at the thirty-seven-minute mark. In this instance a swarm of flies buzz in a large cluster before a window. This is in a way that instantly calls to mind Stuart Rosenberg’s classic adaptation of Jay Anson’s best-seller The Amityville Horror (1979). The first act is the most promising and captivating section in the photoplay. Still, it is noteworthy that Keith doesn’t overindulge in the largely convincing special effects of the labor, courtesy of Martin Fernandez Motion Design & VFX, in its further along portions. This is as so many pictures of this ilk are apt to do. When Keith does so, he bestows such acquainted turns as the door which gradually and inexplicably unveils by itself. Such ensues at twenty-two minutes into the exercise. Yet, when implemented through Keith’s sophisticated, elegant and claustrophobic direction the incident comes off as astonishingly fresh and new. This is true even if the film never tops the gothic atmosphere, imagination and successful execution of terror found in its commencing five and a half minutes. Regardless, Keith sustains an unblemished tone of the ominous throughout the exertion. Such is a grand courtesy of Niall Mathewson’s alluring, pulse-pounding and appropriately chill-inducing music. Additionally, Keith’s cinematography is sumptuous and assuredly pleasing to the eye. This attribute aligns itself to old-fashioned fright flicks superbly. Keith’s editing is similarly sharp and seamless. Ali Campbell, Matthew Cooper and Liam Matheson construct a proficient sound department. Adam Falconer, Michael Martin, Sean Smillie and Matheson offer terrific grip work. They create a camera and electrical team that is remarkable. As well, Leigh Butler’s special makeup effects are phenomenal. Together these cinematic donations augment the vast quality of the project immensely. Additionally, the previously unmentioned cast contributes just as stalwartly. 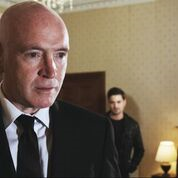 Steve Weston is memorable, enigmatic and instantly likable in his role as Donovan and Blazer’s cryptic boss, Mysterious Man. 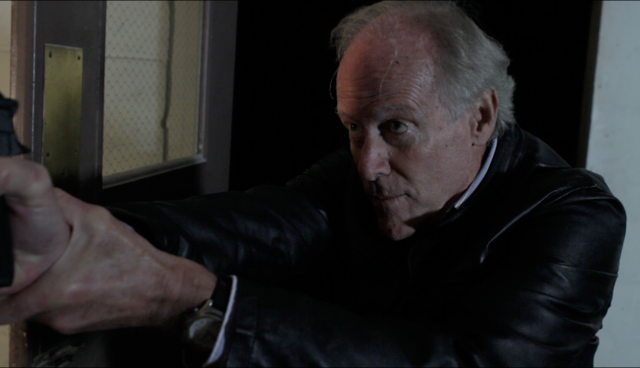 The early sequence he is in with our leads is among the most gripping and quietly entertaining in the entire venture. In this segment, Mysterious Man discusses the general details of his deal with Donovan and Blazer. This is while simultaneously introducing them to the eerie abode the duo will make a temporary habitat. Matheson’s portrayal of Big Beard, Morgan Faith Keith as Sarah Johnson and Cameron Mowat as Mike Johnson are also terrific in their brief turns. Lindsay Cromar as a shotgun victim and Lisa Cameron as Laura Johnson are also excellent. The result is an all-around triumph. This Uncork’d Entertainment distribution and Clear Focus Movies co-production, aspires to be among the likes of Peter Jackson’s The Frighteners (1996) and Ivan Reitman’s seminal Ghostbusters (1984). Though it doesn’t have the high level of inventiveness visible in these aforesaid configurations, Keith has provided spectators with a wonderful example of how well horror can blend with slyly dispensed doses of slight humor. Correspondingly, the residence where Keith has set his fiction is superb. It reinforces the classically creepy veneer overseen in its gothic terror tone masterfully. Even if the endeavor is never overly terrifying, the scares are credibly erected. They are also largely organic to the turns of the narrative. In so doing, these events are uncommonly placed into the film simply as a quick jolt to temporarily service bystanders. Such is certainly admirable. It is also much the rare find nowadays. The outcome of these admirable details is a genre entry I highly recommend seeking out. You can do so when Ghosts of Darkness hits video on demand on March 7th, 2017. Writer-director Evan Schneider’s thirty-six- minute debut short film, “Tales to Line the Coffin” (2017), wonderfully calls to mind classic television shows like Tales from the Darkside (1983-1988). It also summons the endearing funhouse shock of same said features such as George A. Romero’s Creepshow (1982). Schneider’s suitably dark, smoky cinematography only aesthetically reiterates such a comparison. Such adds a low-key, nostalgia-laden charm to all we encounter. The minute and a half long commencing segment oversees a man, Tales Host (in a phenomenal turn from Peter Lewis Walsh that is reminiscent of Angus Scrimm’s iconic role as The Tall Man in the five film Phantasm series), in a mortuary contemplating death. This section is assuredly ominous and chill-inducing. With its issuance of soft, but menacing, lighting and poetic, alluringly penned and inquisitive dialogue it immediately hits a perfectly macabre note. The result is an assuredly attention-garnering sequence. Such is one that is beautifully made. It acts as the perfect introduction to this two-story anthology. When punctuated by the moody and memorable piano driven score from Denis Mikhailov, as well as an inventive and stylish opening and closing title shot, the aforesaid alignment to 80’s horror is complete. The narratives which unfold are “Road Less Traveled” and “Tickled”. What ties these accounts together is the tried and true theme of vengeance. Moreover, the central figure in each account is the direct result of a history of bullying. 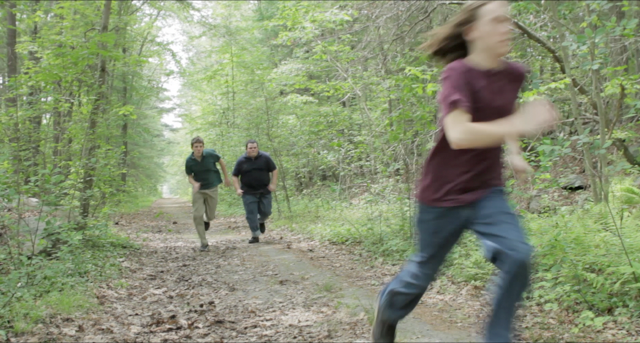 In our initial venture, “Road Less Traveled”, a tormented high-school teen, Sam Wise (in a wrenching and fantastic enactment from Noah Tully Sanderson), ditches his persecutors in the woods. In so doing, he comes across Robert Raimi (in a representation by Paul Taft, who also appears in “Tickled” as Diner Patron Husband, that is both stalwart and charismatic). Telling young Sam about an ethereal entity that is said to haunt the area that surrounds them, a trail of anger fueled murder soon follows. This transpires to those who find themselves in the area Sam has stumbled upon. In the concluding anecdote, “Tickled”, a woman, Diane (in a riveting portrayal from Abigail Jean Lucas), goes on a breakfast date with a madman by the name of Devin (in a haunting and always gripping enactment from Nathaniel Glein Scott). He is plagued by nightmarish visions from his past. His short temper when he thinks he is being laughed at makes things even worse. As these elements take over Devin’s mind, the meeting between the two quickly takes a wickedly violent turn. This is when Vanessa asks Devin to go home with her. Though the final moments of “Road Less Traveled” suggest a revelation, and come up flat and abrupt, the open-ended nature of this section is certainly appreciated. It is an awkward halt to an otherwise engaging, if routinely fashioned and paced, yarn. There is also an impalement late in this originating fiction which comes off as not entirely believable. Yet, it remains a stirring portrait. Regardless, “Tickled” is the best of the pair. Its restaurant set commencement serves as terrific character and narrative development. There is also a triumphant blending of humor and quietly ominous tone. This is woven into the early instances of this latter labor. Likewise, its dark, basement set finale is excellent, effective and intense. The climactic appearance of Vanessa’s wisecracking father, Officer Faulkner (in a scene-stealing depiction from Mark Davies), adds a welcome burst of well-timed guffaws. This settles nicely with the modern Fatal Attraction (1987) meets Saw (2004) measures found within the exertion. From a technical standpoint, the endeavor is just as rousing. For instance, Marcus Blair, Daniel Delosh and Evan Schneider’s editing is assured and skillful. Amanda Koker’s costume design is authentic. Krystle Feher and Danielle Schneider offer an outstanding contribution with their make-up work. The same can be said for the sound department. It is composed of Jonathan Millett, Brianna Shockley and Haroon Wahid. Such a quality is sharp, suitably unnerving and awe-inspiring. Feher and Danielle Schneider’s special effects are largely convincing. The nine-person camera and electrical crew compliment Evan Schneider’s stylish and nostalgia-inducing direction beautifully. Though the screenplay he solely authored for “Road Less Traveled” falls prey to an over-excessive use of the many degrading terms which sadly arise with plotlines involving adolescent intimidation, it is still solid and smart. This is in the way it makes its clichés come across as impressively new. Yet, the script for “Tickled”, which Schneider co-authored with Isabella Deslandes and Christopher Rennie, is fantastic. It is fun, fast-paced and slyly introspective. But, one thing that is conceived spellbindingly well in each respective tome is the placement and build-up of the fear-invoking circumstances. Behind the lens maestro Evan Schneider also presents them just as mesmerizingly. Such occurs with an intricately mounted and ceaselessly nail-biting design. The acting fares just as well. Elle Doucette as Vanessa and Amber Namery as Chelsea are exceptional. Colleen McGovern as Samantha, Brendon Sanderson as Blair Marder, Wolfgang Schuler as Devin’s Father and Marty Smith as the Diner Waitress in “Tickled” are sensational. Christie Devine as Diner Patron Wife and Taft’s Diner Patron Husband are just as memorable. In this aforesaid segment, they portray an aggressive couple. Their dynamic with one another is successfully played for laughs. It also mechanizes as an example of how well director Schneider handles scares and humor. This is as this section transpires while Devin is having tragic flashbacks to his youth. Correspondingly, Andrew P. Marsden as Joe Plaza and Brendan Fromm as Devin (Child) are enduringly notable and striking in their brief turns. This Hop Top Films co-production and distribution, budgeted for approximately $10,000, is ambitious in scope and feel. Yet, there is a continuous focus to the various personas on-screen that guides it each episode. Such also etches in the sum an incredible intimacy. This balance is perfect for an affair of this ilk. There are also subtle links to each chronicle, such as seeing some of the cast of “Road Less Traveled” reappear in “Tickled”, which is a clever wink to the audience. In turn, “Tales to Line the Coffin” is the best type of retro genre effort. It blurs the lines between the antiquated and the modern. This is administered without ever appearing to instill artificial movements to its arc, as is often the case with similar photoplays, to do so. The result is a wonderfully done demonstration of talent all around. Schneider and crew have crafted a tour de force; an enjoyable love letter to terror compilations that fellow genre addicts are sure to admire. This is well worth seeking out. The official Facebook page for the film can be found here. Hop Top Films’ Facebook page can be found here.